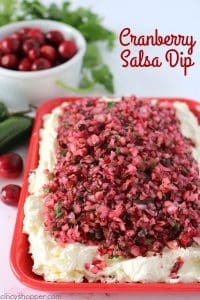 If you are needing an awesome Thanksgiving or Christmas appetizer, this Cranberry Salsa Dip will be perfect. 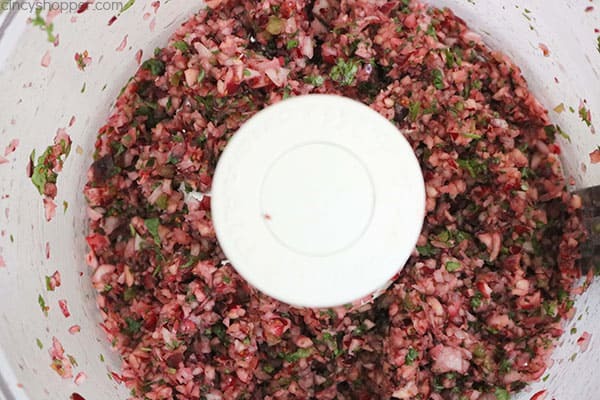 It is loaded with a bit of spice that gives great flavors. 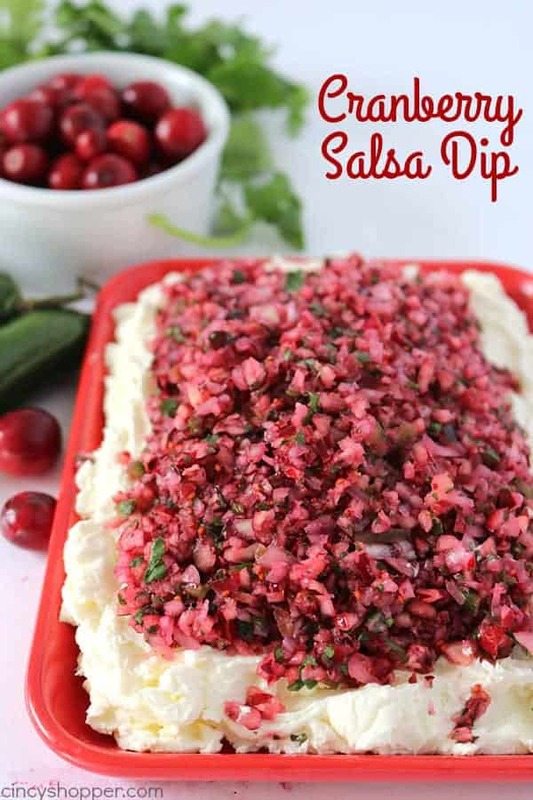 Serve this dip with some crackers. Quick and Easy! 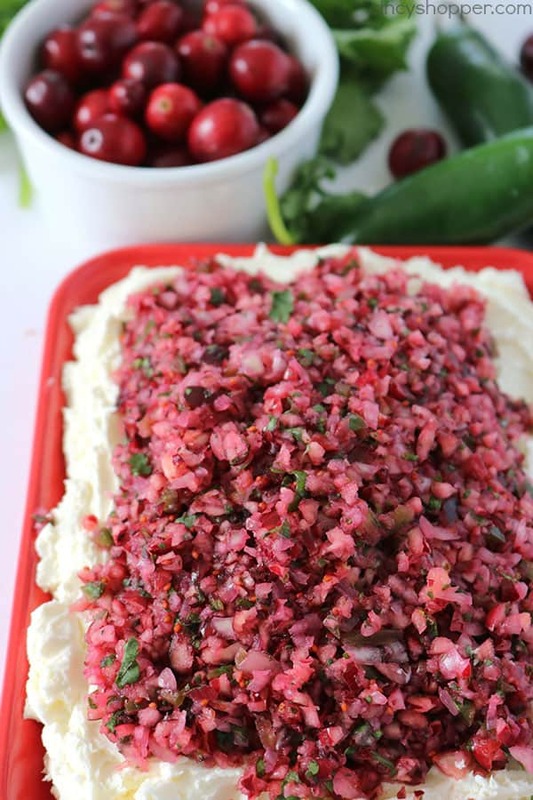 With holiday parties just around the corner, we will all be looking for some great appetizer to serve our family or guests. My family loves salsa with a bit of heat. 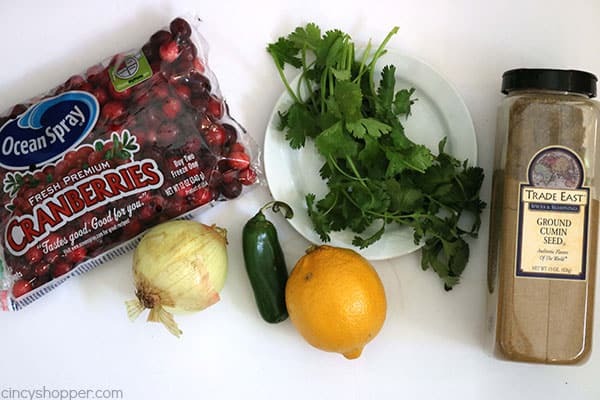 So I decided it was time to whip them up a holiday inspired salsa to enjoy. Some of us like our salsa plain and some of us like it with a bit of cream cheese. 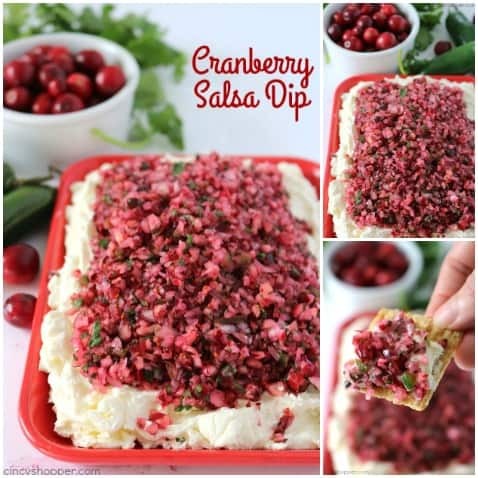 This Cranberry Salsa Dip pairs so perfectly with a layer of cream cheese. Plus it makes the consistency perfect for spreading on top of crackers. YUMMY! I loaded this salsa up with some cilantro because we just do not think salsa is salsa without it, lol. 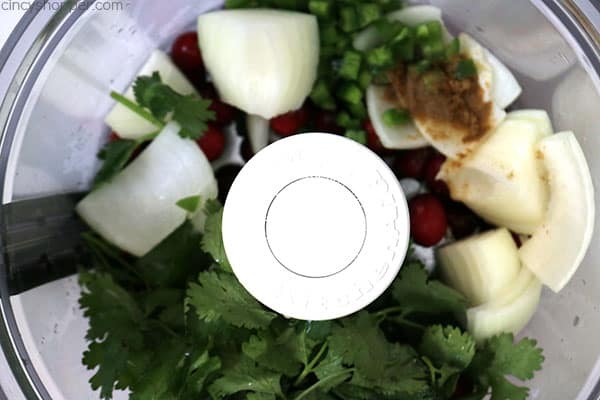 The cranberries blend well with the onion and jalapeno for a bit of hot. 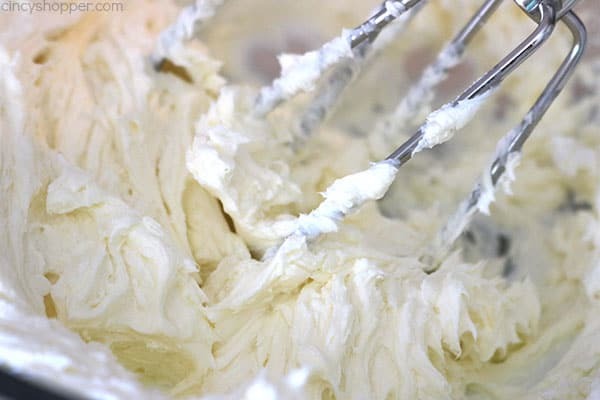 Add all ingredients except cream cheese to food processor and pulse until chopped. 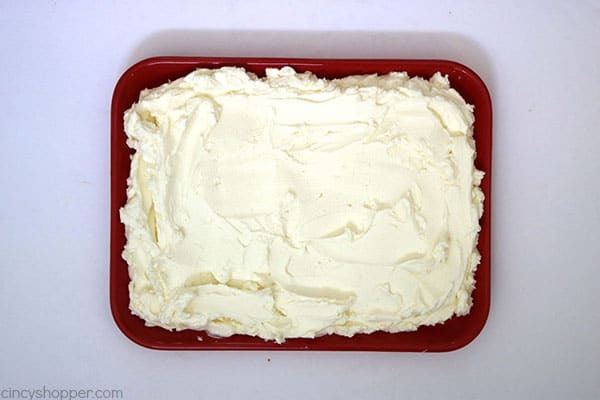 Spread cream cheese over bottom serving dish. 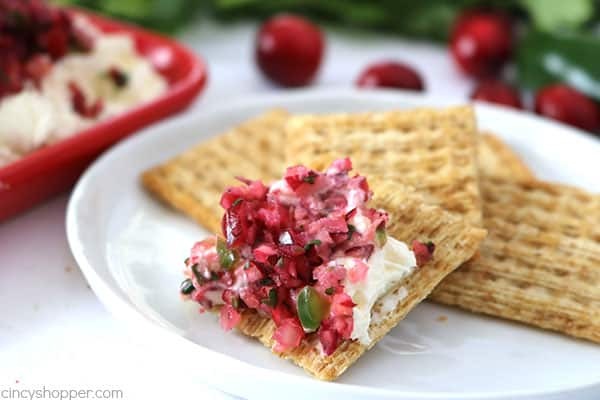 Top with salsa and serve with crackers. 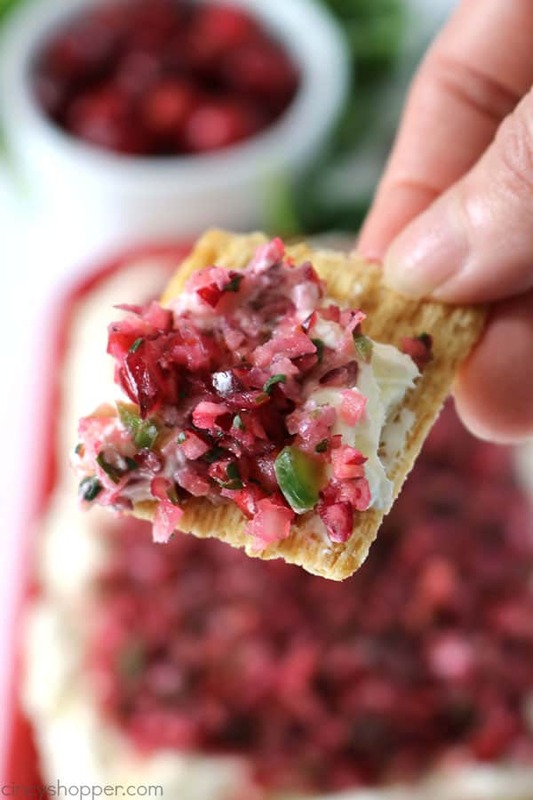 Do you have a favorite holiday appetizer?